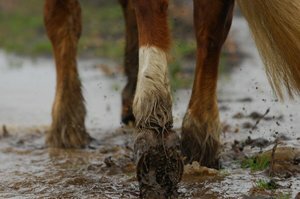 Particularly in winter it is important to look after your horse’s legs to reduce the risk of injury or infection and keep him sound. It’s simple really – if you don’t look after his legs, you won’t be able to ride him. With cold, muddy and wet conditions just keeping a closer eye on his legs and feet will pay off.